This new creation is a creme-based Frappuccino. That means there’s no coffee in it. 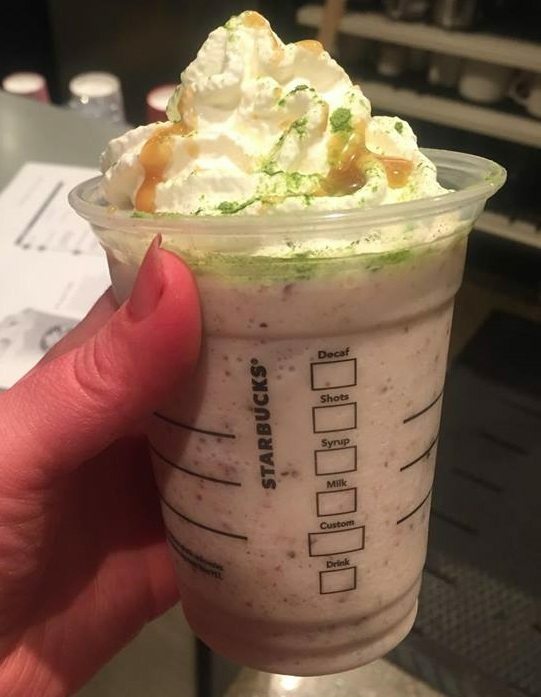 It’s not shown here, but written in the “Drink” box (the bottom box), will be the word “Cheer.” This is a hazelnut Frappuccino, with added cinnamon powder, dried fruit (mostly raisins), and topped with whipped cream with an ornate design of caramel dots and matcha. You’ll find the Fruitcake Frappuccino in the United States and Canada Starbucks locations December 15th – 18th. 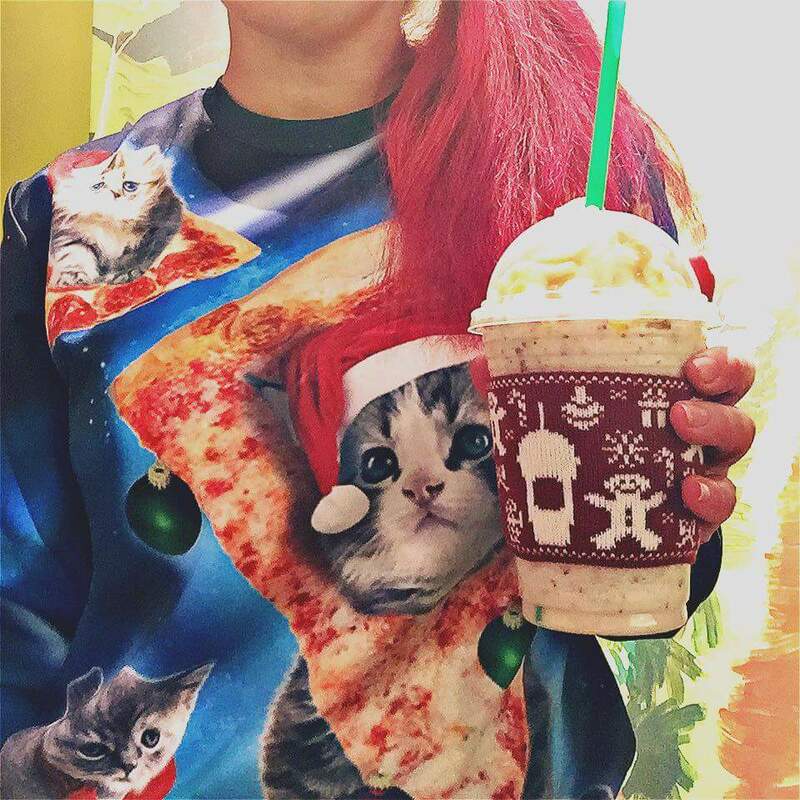 Starbucks Rewards members can receive an ugly sweater cozy (a drink cozy) as a gift with the purchase of a Fruitcake Frappuccino, starting on Dec. 15, while supplies last. No child sleeps outside: Starbucks Matches Your In-store Donation to Mary's Place During December. Well, i guess I won’t be getting a cozy. 🙂 Not a fan of fruitcake. Why does this seem weird to me? I’m biased, since I don’t like fruitcake. Gotta give it to them, though… that’s pretty creative. Merry Christmas, Melody! I saw this earlier today at 15th Ave, I considered it, but got a Strawberry Smoothie instead! 🙁 I was sad to hear that the Evolution Smoothies are going away, being replaced by the classic Strawberry and Chocolate smoothies. Luckily I was able to get a few cozys. The drink was okay.. even with the fruit chunks. I love how you keep us informed. I’ll pass on this offering. No way does that even sound good and no coffee?